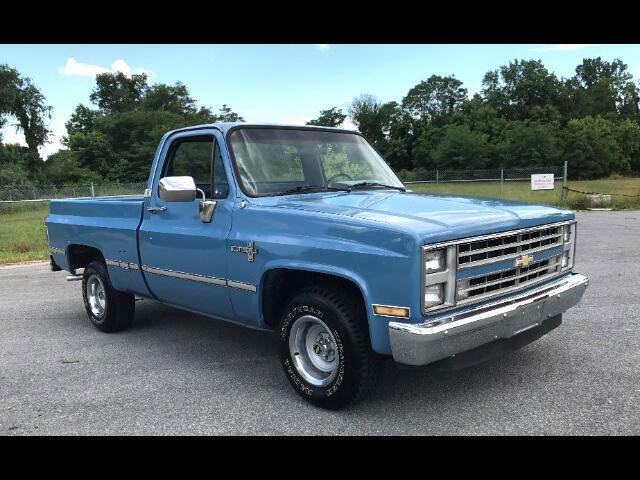 1986 Chevrolet Scottsdale half ton short bed pick up/ Has 350 cu in V8 engine, automatic transmission ,power steering, power disc brakes, dual fuel tanks, air conditioning, rally wheels, with new Goodyear RWL radials. Solid rust free southern truck, that runs and drives excellent. Message: Thought you might be interested in this 1986 Chevrolet Scottsdale.